Oliver Martin Johnston, Jr. (October 31, 1912 – April 14, 2008) was an American motion picture animator. He was one of Disney's Nine Old Men, and the last living member. His work was recognized with the National Medal of Arts in 2005. He was a directing animator at Walt Disney Studios from 1935 to 1978. 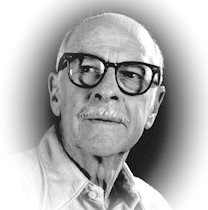 He contributed to many films including Snow White and the Seven Dwarfs, Fantasia, Bambi and Pinocchio. His last full work for Disney came with The Rescuers, in which he was caricatured as one of the film's characters, the cat Rufus. Ollie Johnston on his garden railroad in 1993Johnston co-authored, with Frank Thomas, the reference book The Illusion of Life. This book helped preserve the knowledge of the techniques that were developed at the studio. The partnership of Frank Thomas and Ollie Johnston is fondly presented in the documentary Frank and Ollie, produced by Thomas' son Theodore. Born in Palo Alto, California, Johnston attended Stanford University- where he worked on the campus humor magazine Stanford Chaparral with fellow future animator Frank Thomas - then went on to the University of California, Berkeley and Chouinard Art Institute. Ollie married a fellow Disney employee, ink and paint artist Marie Worthey, in 1943. Marie Johnston died May 20, 2005. Ollie's lifelong hobby was live steam trains. Starting in 1949, he built a 1" scale backyard railroad, with three 1/12th scale locomotives, now owned by his sons. This railroad was one of the inspirations for Walt Disney to build his own backyard railroad, the Carolwood Pacific Railroad, which again inspired the building of the railroad in Disneyland. In the 1960s Ollie acquired and restored a full-size narrow-gauge Porter steam locomotive, which he named the "Marie E." In 2005 it ran during a private night event on the Disneyland Railroad. This engine was sold to John Lasseter (of Pixar Studios fame). The engine is fully operational and ran recently at the Santa Margarita Ranch in May 2007. On November 10, 2005, Ollie Johnston was among the recipients of the prestigious National Medal of Arts, presented by President George W. Bush in an Oval Office ceremony. Ollie Johnston died on Monday, April 14, 2008 at the age of 95.